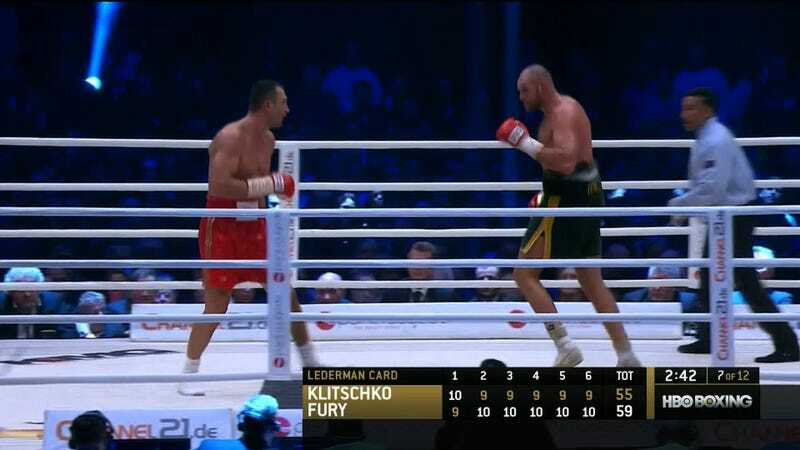 Here is video of the perfoming of national anthems before today’s Tyson Fury-Wladimir Klitschko heavyweight title fight. It is by something we were told by Michael Buffer is named “The Dark Center.” We’re all very confused by this. Also, did you know that a heavyweight title fight is happening right now? Update (December 3): The video is gone.